Need your 12.9″ iPad Pro to work well with Apple Smart Keyboard and Apple Pencil and also get protected by a durable case? Gumdrop’s DropTech iPad Pro case may be an ideal solution. The DropTech is a robust, snap-on protective case dedicatedly designed for 12.9″ iPad Pro. The iPad Pro case measures 13.5 x 11.5 x 1.2 inches, weighs 1 pound, and as we can see from the images, the case shows off a rugged yet slim design along with three optional colors in order to match different senses of style, and Gumdrop’s iconic tactile, tire-like back not only provides enhanced protection, but also delivers a comfortable and firm grip. Using its dual-layer silicone and ABS construction and reinforced rubber bumpers on the corners, the DropTech iPad Pro case protects the large-screen iPad from bumps and scratches. Furthermore, the iPad Pro case perfectly works with Apple’s Smart Keyboard. 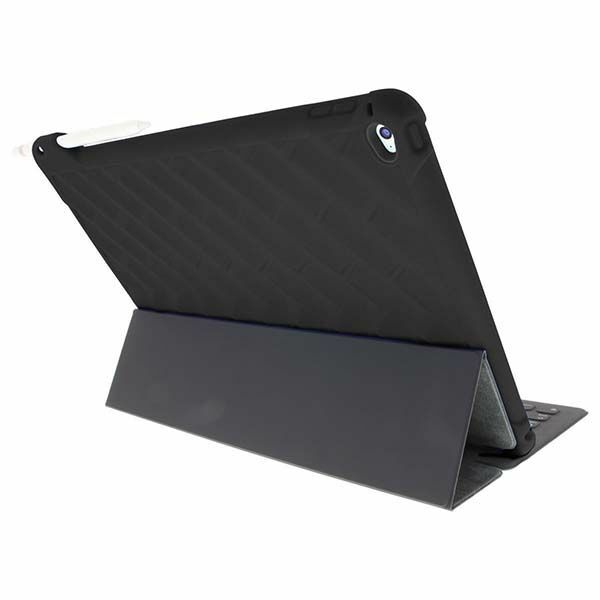 When closed, the keyboard cover and the dual-layer case offers all-around protection. Moreover, an integrated Apple Pencil holder allows your Pencil to always stay with the tablet, and a custom hole is designed to keep the Pencil in place for easy access. The DropTech 12.9″ iPad Pro case comes in three colors, each is priced at $59.95 USD. If you’re interested, jump to Amazon or Gumdrop for its more details. BTW, also don’t miss the mechanical keyboard 12.9″ iPad Pro case and more related cool stuff by following tags. 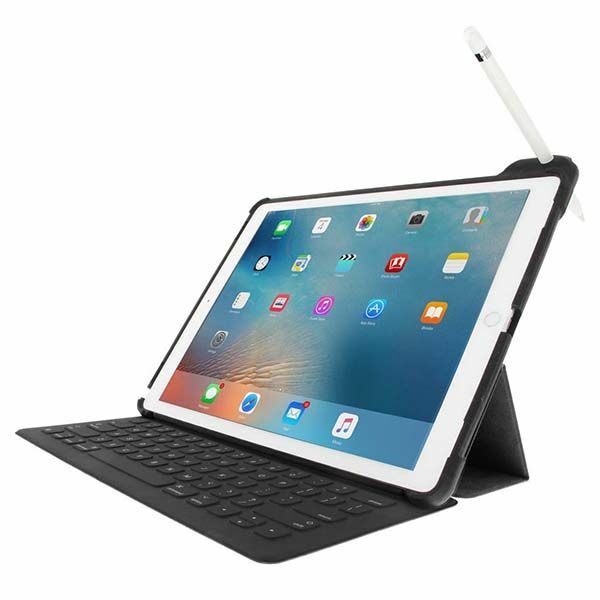 Do you have a new version of this smart keyboard compatible cover for the new 2018 iPad pro 12.9 inch? if not now when? We didn’t find out an iPad Pro case for new 12.9-inch model that works with official smart keyboard. We will send you a link if finding any suitable option. BTW, here is a fully featured 12.9-inch iPad Pro case (http://gadgetsin.com/zugu-muse-12-9-inch-ipad-pro-case-with-magnetic-stand-and-apple-pencil-holder.htm) even though it can’t be attached with smart keyboard.